Paul and Dan loading up! It was fun remembering this time! The “war” of fireworks were fun although possibly a little reckless due to the nature of housing surrounding us including bamboo walls and the Nipa (or thatched roofs). 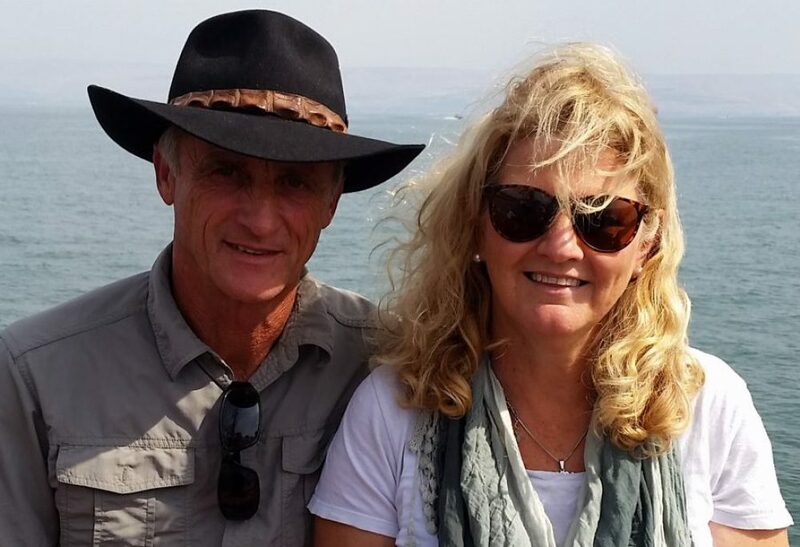 Recently we had our 39th Wedding Anniversary and decided to take two days over the holidays to visit a nearby resort – hot showers, different food, good signal…or so we thought! The food was gourmet Italian, with lots of it and no rice! The shower..well let’s just say our bucket bath gives us much more pressure than their cold shower heads and I have a great husband who boils my water for me in the bucket to take the edge off, especially when I am washing my hair. No such joy from a cold shower! What is a bucket bath I hear you ask? It is just that – A bucket of water with a small ladle usually, to tip over yourself whilst standing on top of a small toilet in an concreted area for a bathroom. So the method goes something like this. Once soaped ladle water all over; as quickly as possible if slightly chilly. Here is where the going gets tough at times though especially married to my pyromaniac husband. Dodge firecrackers or have a heart stoppage as he sets them off in the small CR (comfort room) while you are bucketing the water over yourself. He is having a ball with all the fireworks he bought “for the village kids” for Christmas and New Year. So far we have had wars between himself and the carpenters in the bunk house below us; Firing rockets over the tops of the village kids and shooting at them them across the housing. I have loaded a few of the carpenters and kids up with boxes to retaliate but think it will not be to my advantage as no doubt they will come back to terrorize me as they attack Paul. You hear it all over the village. “Kuya (Respectful Uncle) Paul!!! !” as we drive, walk or stand on the verandah. Everyone knows it’s him setting little bombs off around the village and town. But he loves it! The carpenters all cheer each time he bombs their room. He led his little apprentices today with their Picalos and Weeties (the rockets that go Weeee and then explode) showing them how to light them with mosquito coils and send them out through PVC piping! I am to the point where if I take a bath I try to do it with him in the cubicle next door at the same time, just so I don’t have to experience the shattering of ear drums. These are some of the happy challenges we face here on our Philippine’s Journey. I really don’t mind doing life with this crazy pyromaniac but just remember if you are anticipating coming for a visit don’t expect most of the creature comforts you may be used to – not here in Pagnimetan anyway..bucket baths and bombs await! Happy New Year! And enjoy your fireworks wherever you are..
Great Tiramisu but cold showers to celebrate our 39th Anniversary 2 and bit years ago! Recently I paid a return visit to Haiti. As an Australian staying in the United States we are required according to our visa waiver conditions to leave the country for an unspecified period of time every 90 days. My daughter who runs a not-for-profit organization in Haiti had been trying unsuccessfully for quite a few months to get back down to see her girls. So we all decided to head down there as our exit strategy. The last time I was there it had been an extremely challenging year with our grandson newly diagnosed and under treatment for leukemia and I was exhausted. I was also not personally feeling well so this trip was nice to follow up with. Haiti is a country that defies many minds and hearts. It was the first country where slaves gained their freedom but it came at a great cost. Countries set embargoes against them, during that period in the 1800’s until recent times, causing incredible challenges to this small country. Slavery although abolished still thrives though with children and women at risk of exploitation. Greater minds then mine have tried to find a solution but despite all the huge financial amounts of aide this country has seen come and go, it still suffers with insane poverty and all of the issues that festers. Naomi and the many other organizations though that create work and good working conditions for her girls, including health and regular income, is helping to change the lives of those around there. There are so many complex situations though including the one of escouad or pooling of finances. One person gets it all one month and so one. So virtually you would get paid once a year in the case of Naomi’s 12 girls! My heart breaks when I see the hardship of so many families around the world who all they want is a better life for their children! I loved visiting with them but now starts the hard work of selling their goods so that we can send more of the profits down to them. Our next goal, is to build them a functioning kitchen that will provide a place for them to cook out of and sell food. They are also keen to learn hair dressing skills to supplement their incomes and help provide skills to improve life for the next generation. So lots to consider. If you can consider purchasing some of the amazing jewellery and metal work from our site! You can change a life! Until next time enjoy the laugh of this little one. He was tickled with the blocks of wood cast offs Paul gave him!